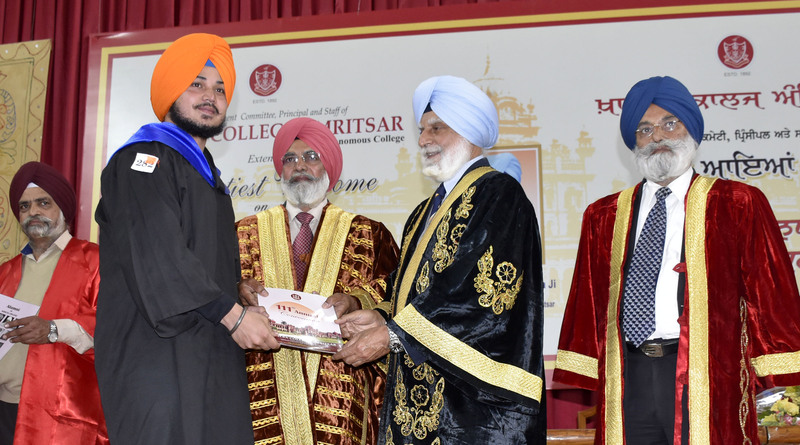 Urging the students to imbibe moral values to succeed in life, Khalsa College Governing Council (KCGC) President Satyajit Singh Majithia today said the traditional education is meaningless if it is devoid of the ethical and moral standards. He said the teachers must be role model for the students as he exhorts them to opt for `entrepreneurship’ and open small businesses as job markets are shrinking. 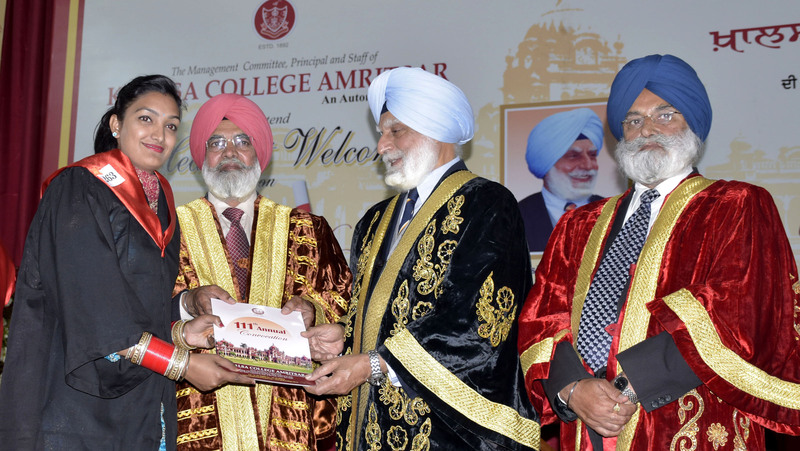 He said this while presiding over the 111th annual Convocation of historic Khalsa College. 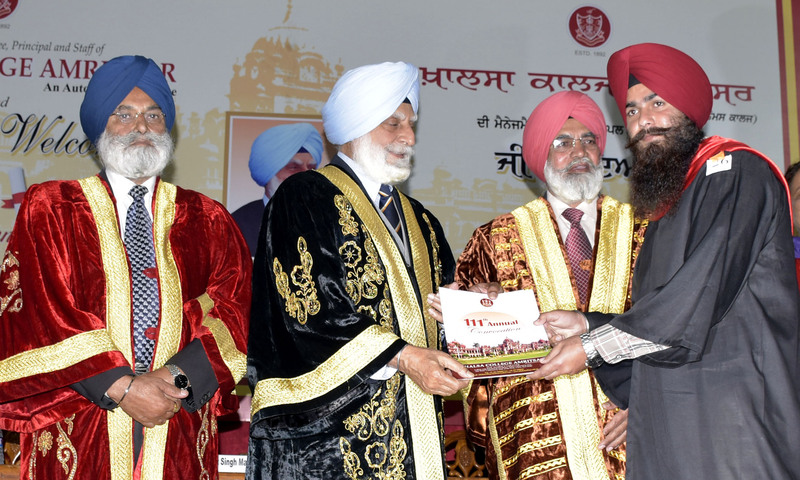 At least 716 students from various under-graduate classes were awarded degrees and scores of meritorious students, University toppers were honoured with medals. 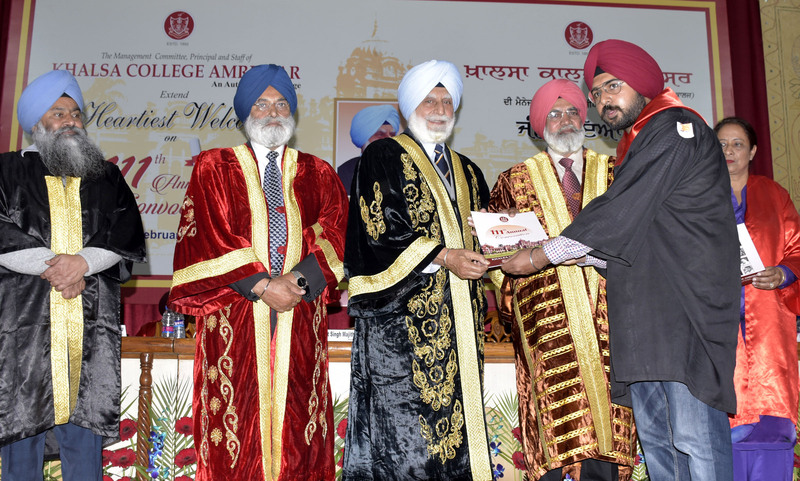 The academic function was meticulously organized at Sunder Singh Majithia hall where students wearing black gowns took the degrees. Majitha, during his convocational address also stressed that a person must remain a `student’ throughout his life and the keenness to gain knowledge should be our primary aim. The Convocation commenced with a majestic and grand academic procession at the heritage building followed by the College `Shabad’. Earlier KCGC honourary secretary Rajinder Mohan Singh Chhina, in his welcome address stressed on professional education as he batted for moral education side by side the conventional imparting of the instructions. He also said that the girls need to be educated if we wanted to develop advance-looking, progressive society. He urged the students not run to abroad for financial success but to do something of their own in the nation. 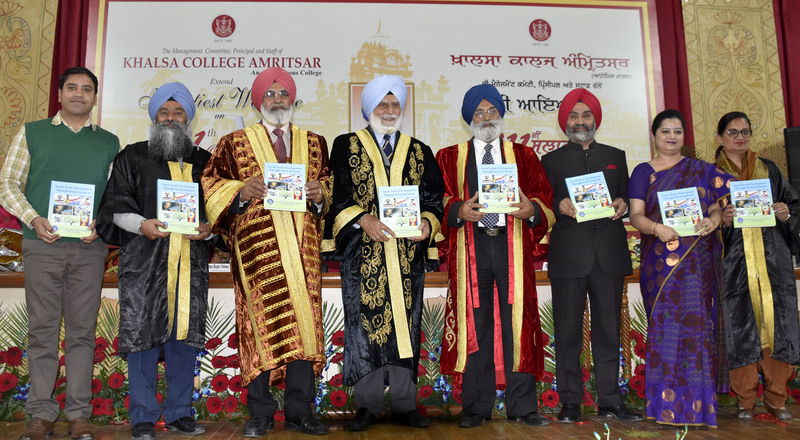 Describing about getting the `A’ Grade autonomous College by National Accreditation and Assessment Council (NAAC), Principal Dr. Mehal Singh read out the details of annual progress report of the college explaining academic, cultural and sports achievements of the institution in the last one year. Prof. Devender Singh, Registrar, Khalsa College delivered the vote of thanks closing the ceremony thanking president and honorary Secretary for supporting the various development activities of the College.